What is DRX and DRX active period? What channels does it monitor in active period? What is MAC-ContentionResolutionTimer – What is the start and end activity? What is HARQ RTT Timer? What are the Logical Channels carried through HARQ? What are the Logical Channels NOT carried through HARQ? What are the Physical Channels Terminate at MAC/Physical boundary and are irrelevant to the upper layers? 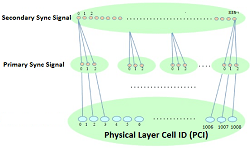 What are the Logical channels through which PBCH is carried through? 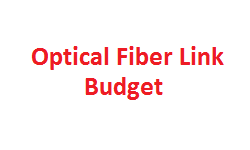 What are the Logical Channels Carried by UL-SCH and DL-SCH? 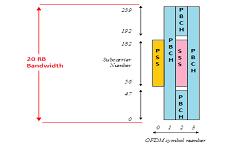 What Logical channels are carried by PDCCH and PUCCH Physical Channels? Which entities and situations and when do they initiate MAC RA Procedure? List them. When is your Temporary C-RNTI gets converted to C-RNTI? How many bits is it? How many RA Preambles are there? Why some of them are reserved by eNB? What is the RA-Preamble-Group A and B? What is the difference? While UE trying RA, if paging & Reserved-preamble comes from eNB, will UE abandon the current RA and restart? RA-RNTI = 1+t_id+10*f_id. Explain what is t_id and f_id and their possible value range? What are the types of RAR? How do you know how many RAPIDs are there and length of the RAR? What is Backoff indicator? What is the UE action on receiving this? If UE receives the RAR but not contention resolution message, within what time/mechanism it will retransmit? What are the parameters/info you get from eNB in the RAR? What is relationship between HARQ Entity and HARQ Process. What is the maximum entity and processes allowed in each UE? Why there is a dedicated MAC process for BCH? What is the maximum time a UE will backoff, before retransmitting the RA? What is TTI bundling? How many TTI’s can be bundled together? In Logical Channel Prioritization, what is PBR and BSD? How much is Bj incremented each TTI and what is its maximum value in MAC? Rewrite the channels/data in the priority order which MAC considers – CCCH, any other LoCH, BSR, PHR,BSR with padding. What channels are normally carried by TM, UM and AM RLC. List them for each. Are all MAC, RLC and PDCP PDU/SDU’s byte aligned? What is HARQ? Explain briefly? Any reason why RLC is recommended to do ARQ and not HARQ? What is polling bit? How is it managed? What is Poll_SN? How does it help? What is sliding window? What is outside and inside window? What is receiving window? What are the two edge variables describing ends of window for AM? What is the re-assembly units work. What variable does it maintain and moves for AM? 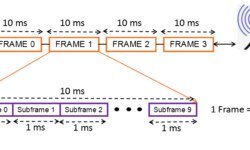 What is Frame Indicator? What are the possible indicators? What is Re-segmentation Flag RF? What do you send in STATUS_PDU? What is LSF Field indicate? What is SO_start and SO_end? What is Poll_PDU and Poll_Byte? For a voice call, Minimum how many MAC, RLC and PDCP entities and Processes will you design both directions taken together? Specify porpose of each. How are Cyphering Keys generated? What are the keys for Integrity and how are they generated? What kind of ARQ or HARQ is implemented in PDCP? What is the maximum size of PDCP SDU recommended? What is COUNT and what is it used for? What is DRB and SRB. What is special about SRB0? What is FMS (First Missing SN) and Bitmap for STATUS PDU? What is MAC-I? How does it help? What are the various PDCP SN sizes possible?